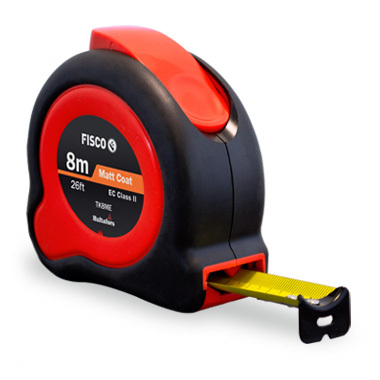 A tough, multi-protected tape measure, which features a unique network of integral ribs and air-pods which effectively absorbs impact energy when dropped. The ergonomic case with rubber overmould provides a comfortable firm grip, whilst the detachable belt clip is perfect for users who prefer a more slimline tape. Tough, ergonomic case with rubber overmould. Removable belt clip (excl. 3m models) and self-zeroing end-hook.